1 How Important Is The Sunshine Vitamin? Vitamin D is quickly becoming an all-important vitamin. Although it is naturally produced in the skin, most people never receive enough of it in this way. Therefore, there is a need for constant supplementation. Some recent clinical studies show that vitamin D deficiency is closely related to thyroid problems. This article identifies the thyroid problems linked with vitamin D deficiency and discusses how vitamin D supplementation can help treat thyroid disorders. How Important Is The Sunshine Vitamin? Vitamin D is a fat-soluble vitamin. It actually refers to a group of five secosteroids that can be obtained from diet or synthesized in the body following sun exposure. The forms of vitamin D obtained from the diet are vitamin D2 or ergocalciferol and vitamin D3 or cholecalciferol. Vitamins D2 and D3 are the two most important vitamers of vitamin D.
While vitamin D2 is synthesized from ergosterol in lower animals, vitamin D3 is made from a metabolite of cholesterol that can be found in the skin and milk of animals. In humans, vitamin D3 is produced in the skin when 7-dehydrocholesterol is exposed to UVB (ultraviolet B light) between the 270 nm and 330 nm wavelengths. The body can produce all the vitamin D it needs in this way but that is rarely the case. The production of vitamin D in the skin is regulated by a feedback mechanism that maintains a steady level of the vitamin in the body. Where all the body’s vitamin D needs cannot be obtained from the ultraviolet irradiation of cholesterol, diets and supplements can help. Dietary sources of vitamin D include alfalfa, mushrooms, fish liver oils, fatty fish, beef liver and whole egg. Vitamin D is also added to some fortified foods in certain countries. Vitamin D deficiency causes the softening of the bones. In adults, this is called osteomalacia while it is called rickets when it affects children. Vitamin D is very important to the regulation of calcium in the body. Since calcium is essential to bone health, vitamin D deficiency increases the risk of bone fractures because it reduces bone mineral density. Low levels of vitamin D has been associated with a number of medical conditions including multiple sclerosis, asthma, influenza, tuberculosis and certain cancers. Large doses of vitamin D (50,000 IU and above) can cause hypercalcemia. The toxicity of high doses of vitamin D is even more pronounced in people suffering from hyperparathyroidism. The symptoms of hypercalcemia include nausea, vomiting, anorexia, excessive urination, insomnia, lethargy, nervousness and itching. In advanced cases, hypercalcemia can cause damage to the liver and kidneys. To treat vitamin D toxicity, all dietary and supplemental sources of the vitamin must be withdrawn. In addition, calcium intake should also be lowered. It should be noted that no amount of sun exposure can cause vitamin D toxicity. Vitamin D deficiency is strongly linked to autoimmune disorders. Such disorders include multiple sclerosis, type 1 diabetes and cancers. However, there are other autoimmune diseases that low levels of vitamin D can cause. One of these is hypothyroidism. Several studies have established a relationship between low vitamin D levels and autoimmune thyroid disorders. One such study was published in the journal, Cellular & Molecular Immunology in 2011. In that study, the researchers recruited 50 patients with autoimmune thyroid disorders (mostly Hashimoto’s thyroiditis), 42 patients with non-autoimmune thyroid disorders and 98 healthy subjects. For each of these participants, the researchers measured serum vitamin D levels, levels of antithyroid antibodies and thyroid functions. The results of this study showed that vitamin D deficiency was most common in patients with autoimmune thyroid disorders (almost 3 times more common). Even though this deficiency was also common among patients suffering from non-autoimmune thyroid disorders, the prevalence was lower than in the group of patients with autoimmune thyroid disorders. Furthermore, vitamin D deficiency was also strongly correlated with antithyroid antibodies and poor thyroid functions. To explain how the serum level of vitamin D can affect thyroid function, one must first understand how the body utilizes vitamin D.
Once ingested or synthesized in the skin, vitamin D is transported to the liver where it is converted to calcidiol. Calcidiol is only a prohormone and it is soon converted to calcitriol, the bioactive form of vitamin D.
This conversion takes places in the kidneys or in the monocytes and macrophages of the immune system. The calcitriol synthesized in the kidneys function chiefly to regulate calcium levels but the one produced by the cells of the immune system acts as an antimicrobial agent. Once released back into the bloodstream, calcitriol binds to a type of plasma carrier proteins known as vitamin D-binding protein. It is this protein that transports vitamin to its sites of action. However, for vitamin D to act, it needs to bind to a set of special receptors at those sites of action. These receptors are called vitamin D receptors (VDRs) and they can be found in almost all the organs of the body. VDRs, themselves, are a subset of thyroid hormone receptors. By binding to these receptors, vitamin D can fulfil its many roles including increasing the production of neurotropic factors, nitric oxide (a vasodilator) and glutathione (an antioxidant). The VDRs also help vitamin D promote the formation and differentiation of new cells. However, it is the presence of these receptors on immune cells that is of importance to the thyroid gland. VDRs are found on white blood cells including activated T and B cells as well as monocytes. By binding to these receptors on these immune cells, vitamin D can prevent them from triggering the autoimmune destruction of the cells of the thyroid gland. Still, the involvement of vitamin D in autoimmune thyroid disorders goes deeper. Autoimmune diseases are basically caused by genetic polymorphism. This means that small changes at the genetic level end up affecting the structure and functions of very important cells and proteins. This genetic polymorphism can also affect VDRs. In fact, several studies have proven that this is indeed the case. These studies show that VDR polymorphism is common in those suffering from autoimmune thyroid disorder. Polymorphism in vitamin D receptors means that the biological activity of vitamin D is reduced even when it binds to these receptors. When polymorphic VDRs are present in the thyroid gland, even normal level of vitamin D cannot produce same effects as it does on normal VDRs. Therefore, people with polymorphic VDRs need higher than normal serum levels of vitamin D to avoid vitamin D deficiency. For such people, normal serum levels of vitamin D is not enough to stop the cells of the immune systems from attacking the thyroid gland. The effects of vitamin D on the cells of the immune system are pretty extensive and different studies are revealing new insights on this subject. A 2001 study published in the journal, Clinical & Experimental Immunology investigated the relationship between vitamin D, thyroid hormones and a family of immune cells called NK (natural killer) cells. NK cells forms a good part of innate immunity. They make a special killer squad that the body sends to destroy cells and foreign bodies. This study involved a group of healthy, elderly subjects aged 90 and above. The researchers measured the levels of thyroid hormones (T3 and T4) and serum levels of vitamin D among other things. They then compared these to the levels of NK cells and the cell-destroying capabilities of innate immune system in these subjects. The results showed that low levels of vitamin D and the thyroid hormones increased the population of NK cells. However, only vitamin D levels was found to be linked to the cell-destroying activity of the innate immune system. This study underlines the importance of vitamin D to the immune system. It shows that vitamin D is necessary for preventing the body from autoimmune destruction. Low levels of vitamin D is not only observed in hypothyroid patients suffering from autoimmune thyroid disorders. Vitamin D deficiency has also been demonstrated to be quite common in patients with thyroid cancer. In a 2010 study published in the journal, Archives of Medical Research, the researchers documented a pattern of low vitamin D levels in patients with different kinds of thyroid cancers. For the study, the researchers measured the levels of vitamin D3, pituitary hormone and calcium in 16 patients with follicular thyroid cancer, 27 patients with papillary thyroid cancer, 7 patients with anaplastic thyroid cancer, 34 patients with non-toxic multinodular goiter and 26 healthy volunteers. The results of the study showed that there were significantly lower-than-normal vitamin D levels in patients with papillary, follicular and anaplastic thyroid cancers (in descending order). In addition, vitamin D levels also fell with each progressive stage of the cancers with stage IV associated with the most severe vitamin D deficiency. In contrast, the researchers found no difference in the vitamin D, calcium and pituitary hormone levels between the healthy subjects and the patients in the goiter group. This study shows that vitamin D deficiency is a major component of thyroid cancer, and that the protection offered by vitamin D is essential for preventing the cells of the thyroid gland from becoming cancerous. There are no standard doses for administering vitamin D in the treatment of thyroid disorders. Clearly such treatment should not even be attempted without professional supervision by your doctor. Doctors treat thyroid problems with vitamin D only if they can closely monitor symptoms and the levels of vitamin D, thyroid hormones and calcium. One set of recommendations for improving thyroid disorders with vitamin D suggests that patients take 6,000 IU per day if the measured vitamin D levels are below normal values. 4,000 IU per day is the recommended dosage if the vitamin D levels are close to the lower end of the normal range. For maintenance dose, 2000 IU will suffice. 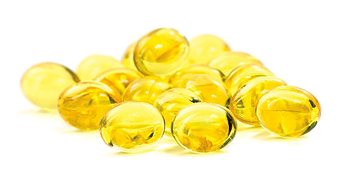 It is important to take vitamin D3 supplements rather than vitamin D2. This is because vitamin D3 is the form of the vitamin naturally produced in the skin during sun exposure. The minimum level of vitamin D for healthy people is 35 ng/mL. 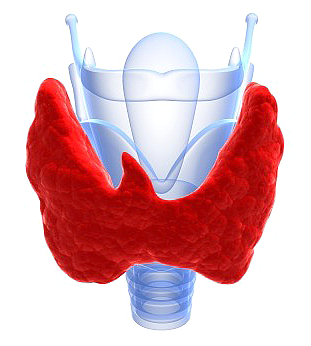 However, a much higher value should be targeted when treating patients with autoimmune thyroid disorders. This is because higher levels of vitamin D are required to stimulate normal responses from polymorphic VDRs in people suffering from autoimmune disorders. However, while raising the dose of vitamin D administered, it is important to watch out for calcium levels since hypercalcemia is the major presentation of vitamin D toxicity. To this end, calcium levels should be kept below 11 mg/dL at all times during the course of treatment.